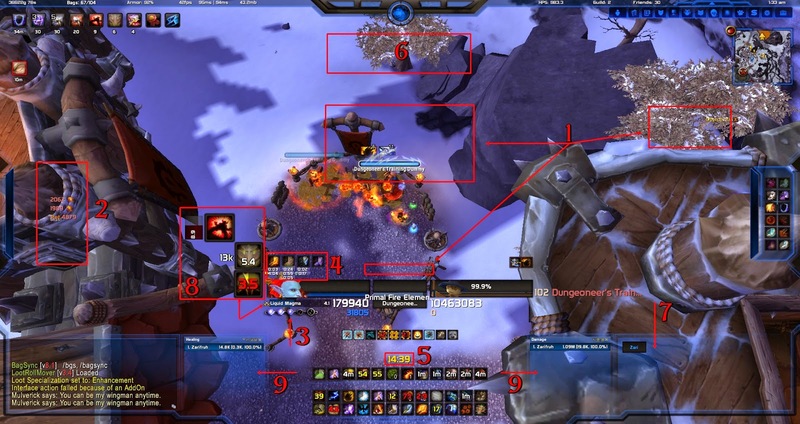 This is my UI as of patch 6.1. I'm constantly tweaking/filtering out/adding new stuff as needed, so if you see something in action that isn't listed here, feel free to ask about it! By now several of you have probably seen my UI to some extent. Do you like my UI or certain components of my UI, and wish to make them your own? Do you think that my personal user interface is far too chaotic, and are wondering why I use everything that I do? Here's the full breakdown. LUI - The base package for my user interface is LUI. I have naturally readjusted a few things, such as opting out of the standard raid frames for Healbot and changing my damage meter, but my unit frames and the general look are all LUI. 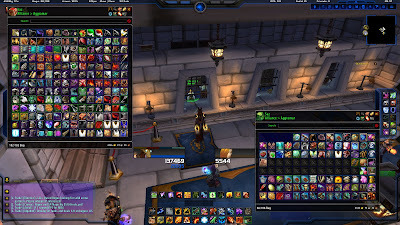 A few things that I love outside of the look of LUI: the sliding side bars (marked as 1 on the right, there's also a hide-away bar closed on the left) and the ability to hover over Guild and Friends (top right hand side) and see who is online via drop down list. Also gives the ability to fade out chat/Omen/Recount (which I do not have enabled, see: Skada), which is a neat aesthetic. ButtonFacade - Makes buttons pretty. Grid - Disabled and replaced by Healbot on healing characters. Omen - Uninstalled and replaced with a second Skada window. Recount - Replaced by Skada; located to the left of my raid frames. Embedded oUF - Background stuff that makes LUI work. 1) Deadly Boss Mods - (Not shown in the breakdown, see other screenshots for position/texture) Your standard boss mod. I personally prefer DBM over BigWigs, but this is preference simply because I've been using DBM since I started raiding all of those many years ago. I'm currently using a DBT-Template that allows me to use different skins for my bars (link to a similar file, if not the same file...it's been a while since I've acquired it). Upside: shiny, customizable bars. Downside: needing to redrop the template into the DBM core file every time DBM pushes out an update. An extra step on update days, but easy enough when the template file is kept handy. 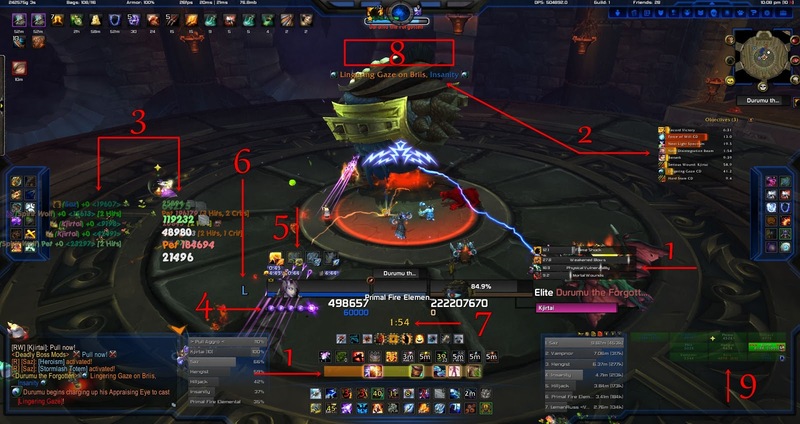 2) MikScrollingBattleText - This addon creates a lot of text on a screen that may or may not be actually useful to you unless you use Fraps/OBS and watch the numbers roll in. I like to use this spam as quick references. I'm constantly filtering/tweaking/readjusting the position of MSBT to try and get the most out of all the information it provides. Currently I only display misses, parries, dodges, and crits. Everything is kept relatively faded out and static to minimize useless noise, while still giving me the information I prefer to see. 3) NugComboBar - A great addon to help any class that has a combo point or stacking combo point system, which is to say nearly everyone. It tracks Maelstrom procs, feral combo points, rogue combo points, hunter pet focus, Holy Power, Soul Shards, Shadow Orbs, as well as quite a few other abilities that seem to be escaping me at the moment. 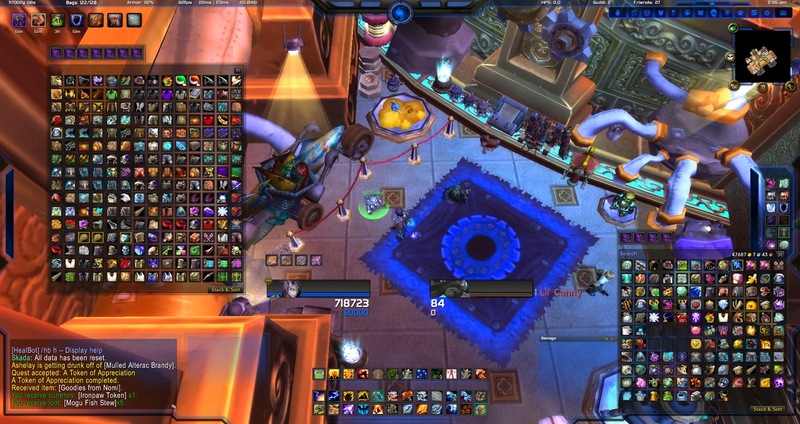 In the screenshots above, the purple orbs are my stacks of Maelstrom Weapon. 4) TotemTimers - This addon offers up a lot of different tracking options for shaman, but I really only use it for its namesake: totem timers. I like that it shows me that I do in fact have a totem active, how long the totem has left and when it'll be available again, even though the latter is duplicate information for me. 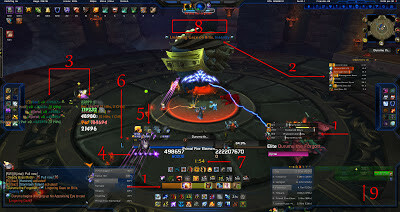 5) TimeToDie - A great addon to help you gauge whether or not your raid's current dps output will be able to beat that 3/5/whatever minute enrage timer. 6) Error Monster - Notice a certain lack of "That ability isn't ready yet." spam at the top of my screen? Yup, that's Error Monster. It filters out both the visual and audio spam that can occur during a fight. You can set up the filters to whatever extreme you prefer, but I've pretty well just filtered out all of it to help clean up an already chaotic visual/audio interface. 7) Grid - Visual reference for the state of the raid, comes with LUI by default. Used on any character that isn't responsible for healing. Healbot is my preferred healing mod that I've been using since The Burning Crusade. If I'm healing, I'll disable Grid and enable Healbot, since I'm far too lazy to learn how to use Clique properly. 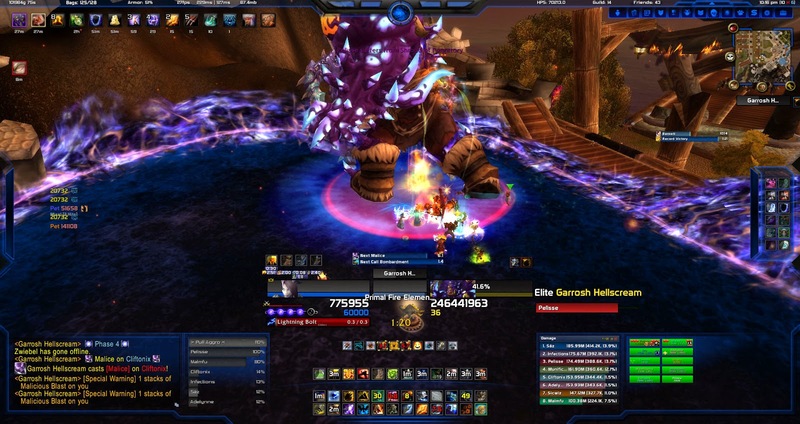 8) WeakAuras - While this is a hugely versatile and popular addon, WA is something I'm just starting to get into. Currently I'm only using four auras: one to display Shamanistic Rage's activation and duration, one to display my level 15 talent (defensive tier - Nature's Guardian, Stone Bulwark, and Astral Shift) activation, duration, and/or strength, one to show the duration of Liquid Magma, and lastly one to warn me when I have 10 seconds left on the duration of a fire totem. If you'd like the strings to the auras that I use, check out my WeakAuras post! 9) Skada - The window on the left displays HPS, while the window on the right displays Damage Done. Since a threat meter (Omen) is no longer a necessity, I've recently replaced it with a second matching Skada meter. In the image above you can see the placement of both my Quartz casting bars and Bartender bars. Quartz - I love Quartz for its sleek look and for its accuracy, Each bar hangs out slightly beneath their respected unit frames for easy visual access; my cast bar is just a bit below my unit frame, my target's below their unit frame, focus target's just below their frame. Addons you may or may not notice. Button Facade (now Masque apparently) + Darion - Just makes my buttons a bit prettier, as well as helps to make them stand out a bit more. Tidy Plates - Love Tidy Plates. Seems to make clicking on a target a bit easier and makes things look a bit less chaotic with multiple nameplates than the standard ui does. 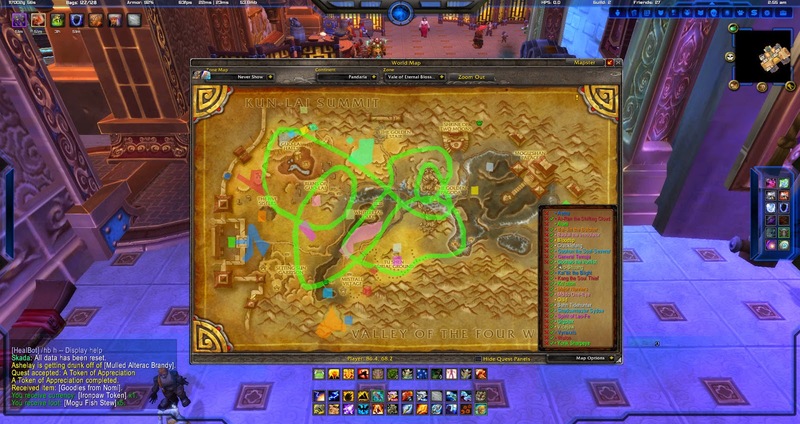 Simple Raid Target Icons - Double click on something/someone and a wheel will appear. Chose your icon of choice and BAM, they're marked. I really do enjoy using this addon for marking adds quickly, since I'm not one to bind macros for this sort of task. Quality of game play addons. Mapster - Turns my giant map into a smaller one that can be pulled up while still being able to see. _NPCScan - As many of you have guessed by now, I am a hunter of rares. I would have missed many a kill and tame if it wasn't for this addon and its counterpart, _NPCScan Overlay. Atlas Loot - For all those data base search needs. Lists loot of every boss in the game, craftable items, tier sets, tabards, and so much more. clsaver - Automatically enables combat logging when you enter a raid instance while in a raid party. Never forget to log! Postal - Allows select and mass looting of your mailbox. Bug Grabber + Bug Sack - Catches errors, records them, and helps to prevent a lot of LUA spam. IdiotCheck - Do you often head into a raid, forgetting all about your fishing/cooking/Safari until a few pulls in? Are you bad about remembering to enchant your items? This addon just might be for you. On any ready check, this addon will scan your gear, looking for any faults. You can adjust which faults you would like flagged (PvP gear, anything below a certain ilvl, etc) as well as which insult(s) it will throw at you any time something is amiss. Not all of the "insults" are PG, so fair warning. Since I still get asked about certain addons now and again, I'll mention them here. ArkInventory - I began using this addon prior to the implement of the search feature into the standard UI. This addon not only turns all of your bags into one giant bag, but allows you to search all of your alts simultaneously for a certain item, view an alt's bags, and will restack/sort all of your items if you tell it to, plus more! Super handy addon to have, though a bit heavy. There are alternatives out there that run a bit lighter, but ArkInventory is my personal favorite. Reason I uninstalled: As much I love ArkInventory, it really is a resource hog. AI was ditched in an effort to try and better my in game performance. These days I've opted to use the bag module included in LUI, though it really doesn't have the nice features of AI. 1) ForeXorcist - I get asked about this addon a LOT. This FX is both my cooldown slider bar and my DoTimer. It can track pretty much every thing; DoTs, internal proc cooldowns, ability cooldowns, you name it. Unfortunately it hasn't been updated in a long time, therefor it's pretty buggy. I've actually tried disabling the cooldown slider all together, simply because it's information that I rarely use, but it won't stay off. 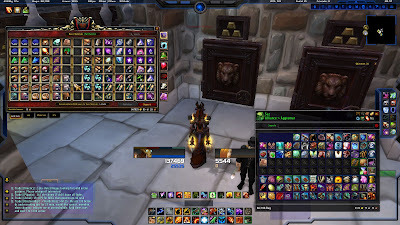 FX is a huge use at your own risk addon, one that may very well be completely broke come patch 5.4. If it does break, I'm going to be really sad, especially since FX has plugins for LUI so everything looks all nice. Reason I uninstalled: It was an addon that was semi kept alive by a few folks, but even the Frankenstein reworks bogged my system down something fierce. The reworked version still works great for a few people, but it unfortunately had to go for me. After having it uninstalled for a while, I've also come to realize that (for me) it was just a bit of extra unneeded visual noise. Useful if you want/need more of a visual to show you when CDs are ready (and you're not already using TellMeWhen), but I find timers located on my abilities to suffice. 6) ShieldsUp - I originally picked this addon up during Heroic Spine of Deathwing progression to help me track my Water Shield. With the changes to both Water and Lightning Shields (they're now both constant buffs that just need to be refreshed after a death/once an hour) you'd think that this addon would have become useless. Wrong! I still use Shields Up to keep track of the number of Earth Shield charges I have on a target as Restoration and it will also track the number of Fulmination stacks I have as Elemental. It's sometimes also a nice glaring reminder that I don't have Lightning Shield on as Enhancement, in the odd event that I forget about it or had been recently MC'd during an encounter and the boss gave me Water shield. Reason I uninstalled: I still rather enjoy this addon, but for the life of me I haven't been able to get it to work properly on my new PC. It may return if I ever find myself seriously healing again (highly doubtful this will ever happen), but otherwise it'll stay retired for now. OmniCC - Changes how your cooldowns are displayed on your ability buttons. Looks great and is incredibly accurate. Reason I uninstalled: LUI has a similar function built in. It isn't as exact as OmniCC is, however it does get the job done. Because of this, I ditched the duplicate addon. 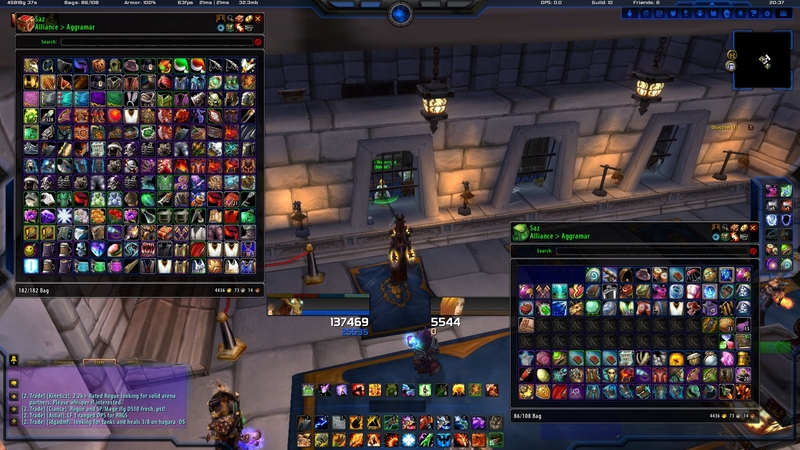 OmniCC is a really nice addon, so if your UI doesn't already have that function available, I recommend picking it up.